He sounded ecstatic while talking about improving the team. Reading between the lines it was as if he was smirking into the phone and really saying watch what I’m about to do. Reading into voice inflection is no way to reach an honest conclusion, and nothing happening is just as likely as something, but Rizzo has a track record of late January/early February moves. On February 2 of 2012 Mike Rizzo in a surprise move signed Edwin Jackson to a pillow contract. He provided the soft place for him to land as he hadn’t found the long term deal he was looking for. Edwin Jackson in 2012 was very much Edwin Jackson. He was inconsistent pitching either shutout or a blow-up, but he provided the Nationals with 189 2/3 innings they would’ve had a hard time filling without him. Fast forward to January 18, 2013 and the Nationals are still looking for what everyone believes to be a left handed reliever to replace Sean Burnett. Instead Mike Rizzo gives Rafael Soriano‘s agent a call and signs him to a two year $28 million deal. Soriano was the best remaining free agent reliever on the market and the Nationals had an opening in the bullpen. The move pushed relievers like Storen and Clippard into set-up roles and looked to improve the Nationals bullpen more than a 1/3 of an inning LOOGY would’ve. It didn’t end up working out that way but that has more to do with the struggles of Drew Storen, Henry Rodriguez, and Zach Duke than Rafael Soriano. January isn’t limited to pitching moves for Mike Rizzo and the Nationals. He signed Adam LaRoche on January 7 of 2011 and January 8 of 2013, and traded Michael Morse on January 16, 2013. These moves go somewhat hand and hand and really weren’t surprise moves, but it does show that if a position player remains on the market that makes sense or that a trade comes along that makes sense Mike Rizzo will make it late in the off-season. This off-season has had a weird flow. It went into a frenzy the week before the Winter Meeting and then slowed to a crawl with something like only seven major league deals being handed out since early December. Almost none of the pitchers have been signed and most of the players that turned down a qualifying offer remain. It doesn’t make sense for the Nationals to sign any of the players that are attached to a qualifying offer. Stephen Drew would make a lot of sense as a super utility player and has a connection to Mike Rizzo but you don’t give up a first round pick to sign a utility infielder, and the same can be said for Kendrys Morales as a bench bat. If there is a position player that remains that makes sense for the Nationals to sign to a major league deal I don’t know who it is. The move that does make sense is to sign a pitcher. The Nationals look set in the starting rotation. A front four of Stephen Strasburg, Gio Gonzalez, Jordan Zimmermann, Doug Fister is very strong and there are enough bodies fighting for a fifth starts role that the Nationals will be able to make it through the season in that regard as well. The pitching weakness comes in the bullpen. Rafael Soriano, Tyler Clippard, Drew Storen, Craig Stammen, and Jerry Blevins are five good relievers if they all play up to their abilities and stay healthy but that never happens in baseball. The bullpen depth is slightly sketchy with the final two spots going to some combination of Xavier Cedeno, Ryan Mattheus, Garcia, Ross Ohlendorf, Tyler Roark, and Nate Karns. Ross Detwiler, who is as of right now likely to be the fifth starter, has solid numbers as a reliever with a career 1.11 ERA in 32 innings of relief. It is a very small sample size, but it is a role that Detwiler could excel in, and it could be a role that helps him to stay healthy. Getting Detwiler into the bullpen would require the Nationals to sign a starting pitcher better than Ross Detwiler and there are a few out there.The most obvious being Masahiro Tanaka. Nothing has been rumored about the Nationals and Tanaka so that would definitely be a surprise but it is far more likely that the surprise move would be a one year contract to someone like Matt Garza, Bronson Arroyo, or A.J. Burnett. If that isn’t a route the Nationals want to go down they could also sign Grant Balfour or Fernando Rodney directly for the bullpen. It is late in the off-season and lots of free agents still don’t have homes. At some point their price has to drop to a point that makes sense for Mike Rizzo to make an offer. Any move that makes the team better is a good move after all and improving the bullpen either by signing a starter and pushing Detwiler into the pen or by directly signing a reliever would certainly improve the team. What also shouldn’t be discounted is both Drew Storen and Danny Espinosa are still Nationals. Both were thought to be trade candidates when the off-season started and both could still be traded. With the way Mike Rizzo operates nothing can be discounted, and a surprise move is just as likely as no move. The only thing at this point is to wait and see and hope something interesting happens before pitchers and catchers report on February 13. A big thank-you goes out to our ‘Nationals Correspondent’ David Huzzard for preparing today’s featured article. David is a Pro bono sports writer for Citizens of Natstown, We Love DC, and Blown Save Win. 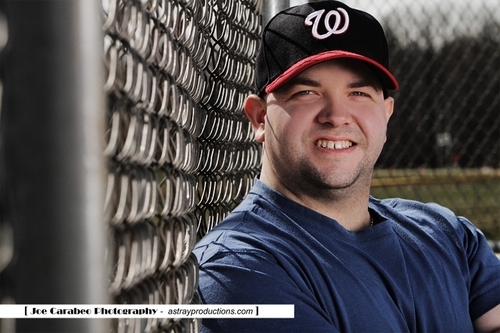 He is also the Co-host of The Citizens of Natstown Podcast. David is from Fairfax, Va. You can follow him on Twitter and talk about the game of baseball. 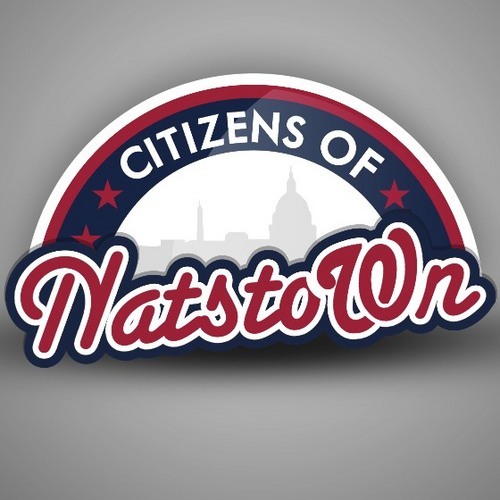 MLB Reports has teamed up with Citizens of Natstown – to deliver the best Nats coverage we can to as many readers possible. For just $3 -you will be able to reflect on a 98 Win year in 2012. Don’t forget to bring your #Natitude! – #LetTeddyWinin2014 and rock #Natstown! Posted on January 20, 2014, in MLB Teams: Articles and Analysis and tagged adam laroche, craig stammen, danny espinosa, David Huzzard, doug fister, drew storen, edwin jackson, garcia, gio gonzalez, henry rodriguez, jerry blevins, jordan zimmermann, masahiro tanaka, Michael Morse, nate karns, NL east, rafael soriano, ross detwiler, ross ohlendorf, ryan mattheus, sean burnett, stephen strasburg, tyler clippard, Tyler Roark, washington nationals, www.citizensofnatstown.com, Xavier cedeno, zach duke. Bookmark the permalink. Leave a comment.